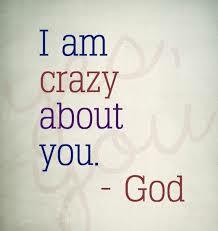 God is crazy about me, you know?. I am His child. His princess. He showers me with every good thing. Instead of obsessing over what I don’t have, I think about all I do have. His love and attention. Fresh air. Clean water. Food. Shelter. A place of belonging. Health. Family. Friends…I am sure I can keep going from here. Yes, He is crazy about me. I know I struggle with this. At times it is a major battle for me. If I do not understand and accept that God is crazy about me, then I can forget about having peace. I can forget about having joy. I can forget about life being incredible. It all starts right here; accepting that He is crazy about me. Do you know that He is crazy about you? I was reading the parable of the Lost sheep in Luke 15 this morning. The Lord speaks of a shepherd who leaves ninety-nine sheep to search for one who is lost. Would a shepherd likely do this? Probably not! The passage drips with irony, even absurdity. Perhaps if the lost sheep were near at hand he might venture over the next hill. But I think the average human shepherd would cut his losses and stay with the ninety-nine. Many of us might even consider it irresponsible to leave ninety-nine to search for one. But this seems to miss the point that God’s love is extravagant, personal, and puzzling. In the end, it would seem that God loves us for “no good reason.” He seems to love us even “more” when we stray. He intensifies his focus on the one who strays. To us this is not only crazy, it is dangerous, possibly enabling. But I don’t try to figure it out. I don’t analyze too much. I Just remain astonished, and amazed. Yes, this is crazy. That God loves me is crazy, unexplainable. He loves me so much that He comes looking for me. Oh, what joy! I continue to bask in that Divine Love and pray never to take it for granted. Posted on March 20, 2015, in Dear Jesus and tagged Comfort, Crazy Love, God, Good Shepherd, Love. Bookmark the permalink. 9 Comments. Thank you for this, Ezar. I really needed this message. God bless you. Surrounded by the conditional love of finite humanity, we cannot easily comprehend that God would love us. We know our faults. We know that God is perfect and sinless. We know that we are not. Why would God, who is infinite and holy, love us, who are finite and sinful? And yet the great truth of the gospel is that He does! Time and again, Scripture reminds us of God’s love for us. Hello Ezar. God bless you for this post. It made me remember an incident i witnessed with my mom. She works with a group that goes to local prisons to share about God. One time I got to go with them. While I was there, I heard one of the prisoners say he thought of himself as “someone God no longer wanted.” Then a member of my mom’s group read him 1 Timothy 1:15-16, sharing God’s mercy to “the worst of sinners.” The prisoner accepted Jesus that day. No matter how much or how badly people have sinned, God’s love can still reach them. Even drug dealers. Even murderers. The worst person you can imagine can receive God’s forgiveness by humbly asking for it. There’s no such thing as a person God no longer wants. There are only people who haven’t accepted his love. But now, this is what the Lord says—he who created you, O Jacob, he who formed you, O Israel: “Fear not, for I have redeemed you; I have summoned you by name, you are mine.” (Isaiah 43:1). God knows my name. He is truly crazy about me. But our inability to fully understand it does not lessen the impact it can have on our life. it doesn’t change God’s love. It only assures us it is worth fully grasping onto and never letting go. When it comes to describing God’s unfathomable love, even the Bible admits defeat. God’s love for you extends far beyond the bounds of human comprehension. Yet through a spiritual miracle you can gain personal insight into the incomprehensible. He is truly crazy about us. 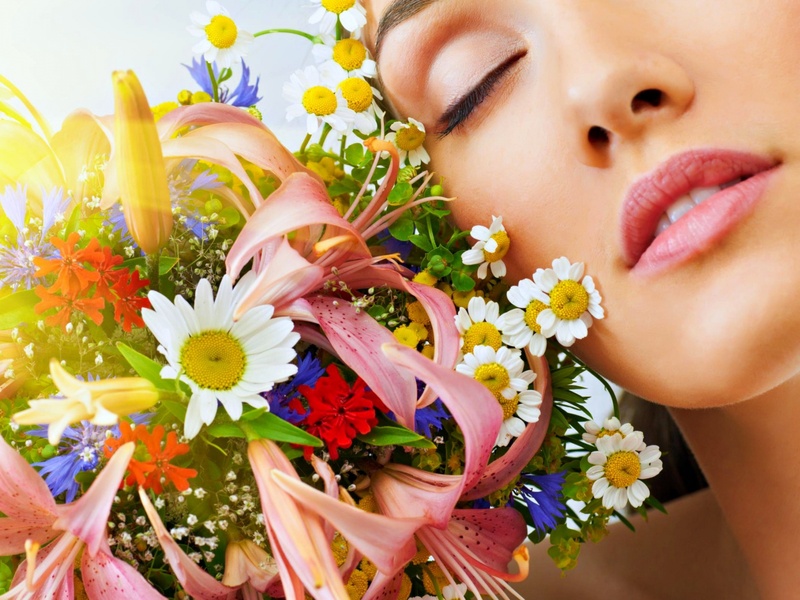 Awareness of how much we are loved is forever slipping from our consciousness. Partially in sight for a few days, it begins to fade again. When we let God down – even if we really foul things up – picture the proudest father the world has seen. The baby screams, dribbles and soils itself, yet Dad still glows with pride. God is like that. No one is more importaant to God than I am. He is crazy about me. Sooooo good to know.